SPENCER – Spencer/Columbus Catholic was able to jump out to a commanding lead by halftime and that proved to be enough as the Rockets beat Bloomer 37-18 in a WIAA Division 5 Level 2 football playoff game Friday night at Spencer High School. Spencer/Columbus (10-1) moves on to a Level 3 matchup next Friday, Nov. 2, at home against Westby (10-1). Austin Bacon ran for a 5-yard touchdown late in the first quarter and the Rockets scored three more TDs in the second quarter, and added a last-second field goal by Evan Dieringer, to rush out to a 30-0 lead at the break. Carson Hildebrandt had a 1-yard TD run, and quarterback Jarred Mandel threw a 4-yard touchdown pass to Hayden Bauman and ran one in from the 2 to help the Rockets get out to the big lead. Bloomer (8-3) got its offense going in the second half, scoring twice in the third quarter and adding another score early in the fourth to cut the Rockets’ lead to 30-18 with 9 minutes to go, but the Spencer/Columbus defense held from there and the Rockets added a late touchdown run by Bauman to put the icing on the victory. “We played very well in the first half and were fortunate to have a 30-point lead on a very good team,” Spencer/Columbus head coach Jason Gorst said. “Credit to Bloomer for really fighting back. I thought their kids played with heart and character all night. Spencer/Columbus racked up 378 yards rushing on 48 attempts, averaging nearly 8 yards per carry. Both Bacon (123 yards) and Bauman (103) topped the century mark, and Mandel added 87 yards rushing and 84 yards passing for the Rockets. SC also forced three turnovers, including an interception by Ethan Meece. SC – Austin Bacon 5 run (Evan Dieringer kick), 3:02. 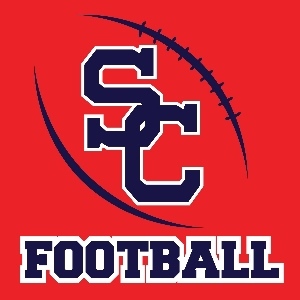 SC – Carson Hildebrandt 1 run (Dieringer kick), 11:14. SC – Hayden Bauman 4 pass from Jarred Mandel (Dieringer kick), 7:04. SC – Mandel 2 run (kick missed), 4:25. SC – Dieringer 26 field goal, 0:01. B – Zach Ruf 54 run (pass failed), 11:03. B – Jesse Buchli 7 run (pass failed), 7:47. B – Buchli 2 run (pass failed), 9:10. SC – Bauman 4 run (Dieringer kick), 2:29. First downs: Bloomer 12; Spencer/Columbus 24. Rushing (att-yards): B 43-185; SC 48-378. Passing (comp-att-yards-int): B 4-13-60-1; SC 6-13-84-1. Total yards: B 245; SC 462. Fumbles (total-lost): B 2-2; SC 1-1. Penalties (no.-yards): B 7-45; SC 5-30. Punting (no.-avg. ): B 4-31.5; SC 2-41.5. Rushing: B, Jesse Buchli 27-102, Zach Ruf 8-57, Caleb Rub 6-32, Leif Iverson 1-1, Team 1-minus 7. SC, Austin Bacon 12-123, Hayden Bauman 13-103, Jarred Mandel 8-87, Carson Hildebrandt 11-56, Andres Rodriguez 2-11, Eden Jacobson 2-minus 2. Passing: B, Z. Ruf 3-12-42-1, C. Ruf 1-1-18-0. SC, Mandel 6-13-84-1. Receiving: B, C. Ruf 1-27, Z. Ruf 1-18, Jace McMullin 1-12, Colton Buchli 1-3. SC, Bauman 3-53, Ethan Meece 1-23, Bacon 2-8. Interceptions (defense): B, C. Ruf. SC, Meece. Punting: B, 12 4-31.5. SC, Mandel 2-41.5. Records: Bloomer 8-3; Spencer/Columbus 10-1.